This salad is so tasty, so refreshing and SO healthy. 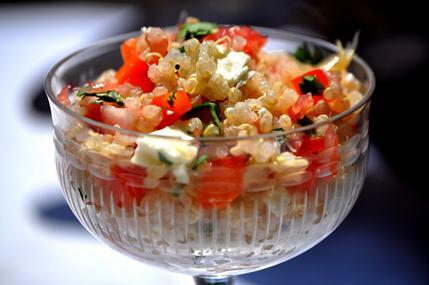 Cook yourself some quinoa (you want about three cups) and set it aside to cool. 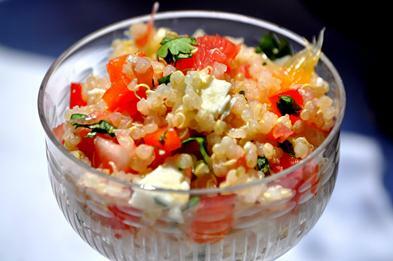 Mix all of the above beauties with the cooled quinoa and you’re good to go! You can serve over a bed of greens or on its own. Yay! Three cheers for summer!!! Had this for lunch, just perfect for a hot summers day. Looks very elegant and tastes great.